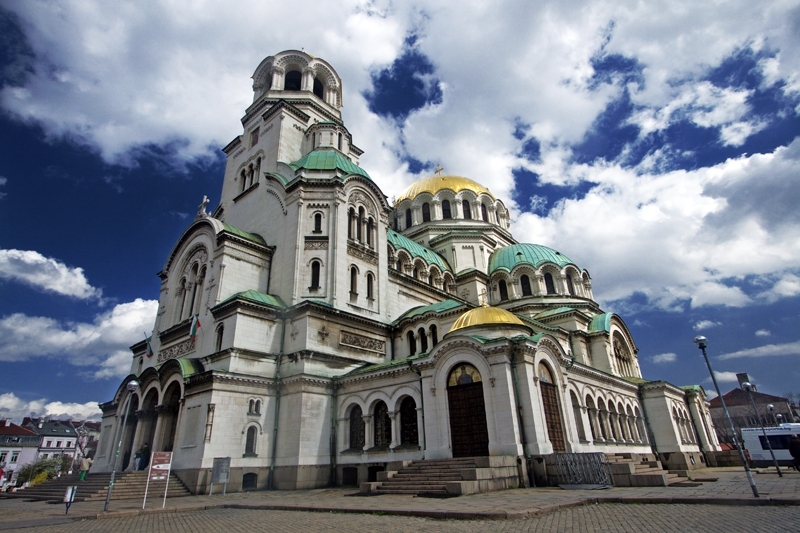 This tour includes, walking tour in Sofia , the capital of Bulgaria. Shopping in the malls of Sofia. Visit of Thessaloniki ( the second largest city in Greece ) and shopping, visit of Melnik with its old beautiful houses and famous wine.Visit of Rupite - a very special place related to the life and the legend of Vanga ( she is world famous with predictions that came true ). Visit of Rila Monastery – the biggest Bulgarian monastery. Optional visit of piano bars, night clubs and discotheques in Sofia. Day 1 – Day 3 – Sofia – Arrival. Transfer airport- hotel . One tour with bus of the malls of Sofia . Overnights in 4* Hotel on BB. Optional visit of piano bars, night clubs and discotheques . Day 4 – Sofia – Melnik – Tessaloniki . Breakfast. Departure to Melnik - the smallest town in Bulgaria (208 residents), is nested in the south slopes of Pirin, among sand pyramids with queer forms. Melnik is famous with its beautiful rich houses from 17-18 centuries and its strong red wine. Departure to Thessaloniki. This is the second largest town in Greece – cultural and economic capital of North Greece. Overnight in Thessaloniki in 4* hotel on BB. Breakfast .Tour of Thessaloniki and shopping. The main sites of interest: the picturesque old town, the Byzantine church of Agios Dimitrios, the Arch of Galerio, the Rotonda and the lively city center. Time for explore the city and shopping In the late afternoon departure to Petrich. Overnight in 4* hotel on BB in Petrich. Day 6 – Petrich- Rupite – Rila Monastery – Sofia. Breakfast. Visit of Rupite - a protected area, which is situated at a distance of about 10 km from Petrich. The locality is mostly famous as a place related to the prophet Vanga, and by this it attracts thousands of worshippers and tourists. Vanga lived in a small house in the Rupite, because according to her relatives she considered the area an energy source and collected her powers from it. Departure to Rila Monastery. Rila Monastery is one of the most impressive UNESCO world heritage sites in Bulgaria and it is the largest Eastern orthodox monastery in Bulgaria. It is situated south of the capital Sofia. Founded in the 10th century, the Rila Monastery is regarded as one of Bulgaria's most important cultural, historical and architectural monuments and is a key tourist attraction for both Bulgaria and Southern Europe. The whole complex occupies an area of 8,800 m² and is rectangular in form, centered around the inner yard, where the tower and the main church are situated. Day 7 – Breakfast .